As we covered in our previous blogpost- shopping features within Instagram is nothing new. 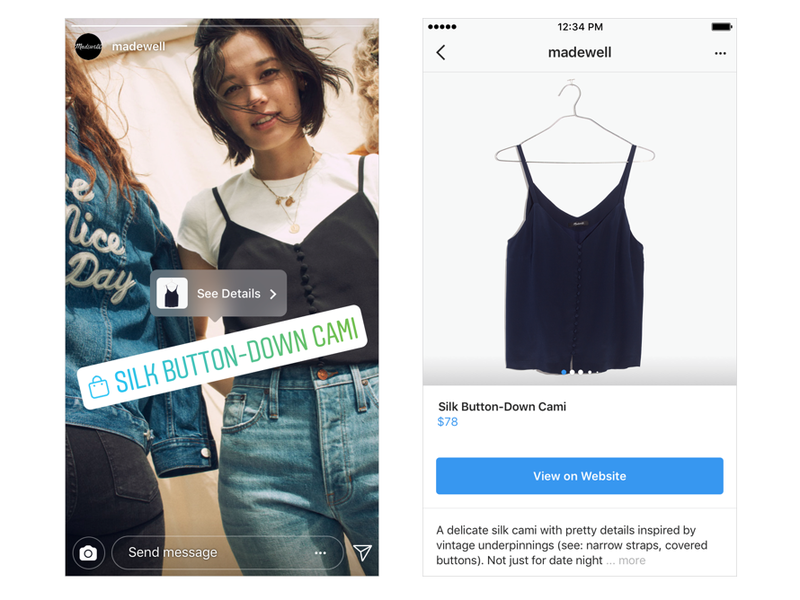 In fact, 90 million accounts now tap to reveal tags in shopping posts on Instagram every single month. This fact hasn't gone under the radar - and we outline what the changes are and how they will help e-commerce sales. Instagram began testing Shopping in Stories earlier this year, but the 17th September saw the release of the feature across 46 countries worldwide. This means that audience viewing your business's behind-the-scenes Stories will simply be able to tap on a tagged product to learn more - and get taken directly to your online store (see image below). More than 400 million accounts are accessing brand's Stories every day - and with one-third of the most-viewed stories are coming from businesses. This means there is massive potential for brands to leverage their online sales through this addition. The other announcement from Instagram was a dedicated "Shopping" channel within the Explore section, which also contains tabs like "Music", "Travel" and "Art" (see image below). These will be personalized to each user, meaning that people who follow your brand (or similar) will be displayed your dedicated shopping posts. This is similar in principle to the product listings on your own online store, but with priority given to quality images in the style of Instagram Ads. Find out more about how Instagram for Business works with online sellers product feeds, or get in touch with us to hear more about how our feed marketing platform can give you the advantage when selling on Instagram.